Our research has shown that George Osborne's latest round of tax increases on alcohol and cigarettes will cost the average drinker an extra £19.76 and a smoker £69.06 each year. We analysed the spending of 20,000 users to work out the current UK average spending on alcohol and cigarettes and how today's Budget increases will affect it over the course of a year. The average UK spend on alcohol was previously £1,708 per year. Following the 2014 Budget, this will increase only at the rate of inflation to £1727.76 - a yearly increase of £19.76. Beer drinkers, who saw a 1p cut per pint, will save on average £5.63 per year. The average UK spend on cigarettes was previously £565 per year. Following the 2014 Budget, this will increase to £634.06 - a yearly increase of £69.06. The average UK spend on fuel was previously £2,017 per year. Following the 2014 Budget at the rate of inflation, this will increase to £2,055.32 - a yearly increase of £38.32. We have also created four dashboards to visually show exactly where government spending goes and how this has changed over the past four Budgets. 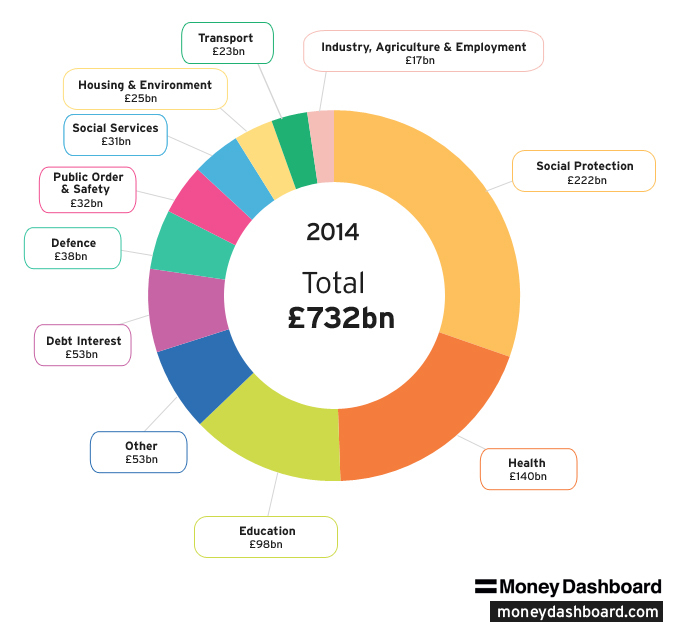 With these dashboards, the government's increased spending on healthcare by £3bn is easier to understand. Gavin Littlejohn, Founder and CEO of Money Dashboard comments: With taxation on things like cigarettes and alcohol increasing, your average consumer will need to look long and hard at their finances to see where these additional costs will come from. Whilst a 2% increase in tax on cigarettes above inflation may not sound like much, over the course of the year, it could in fact jeopardise the chance to buy that dress or suit you've had your eye on.